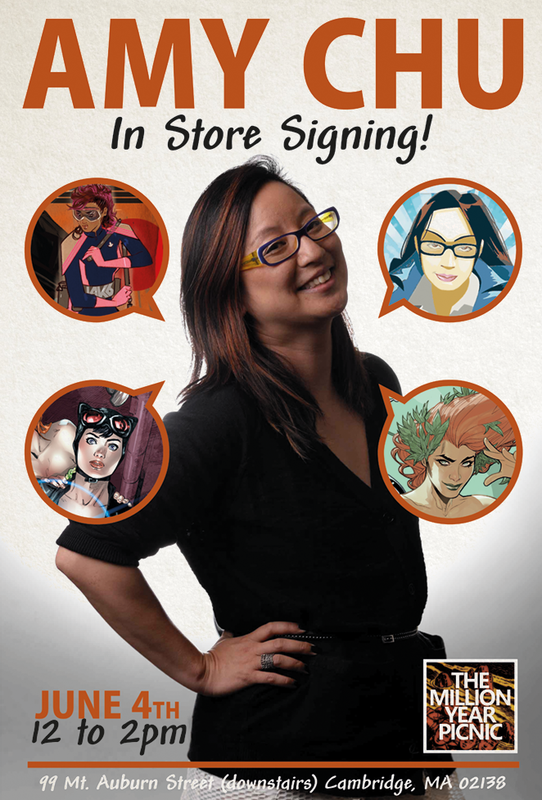 Amy Chu is in town on Saturday June 4th & will be signing at the MYP from 12 to 2 PM. 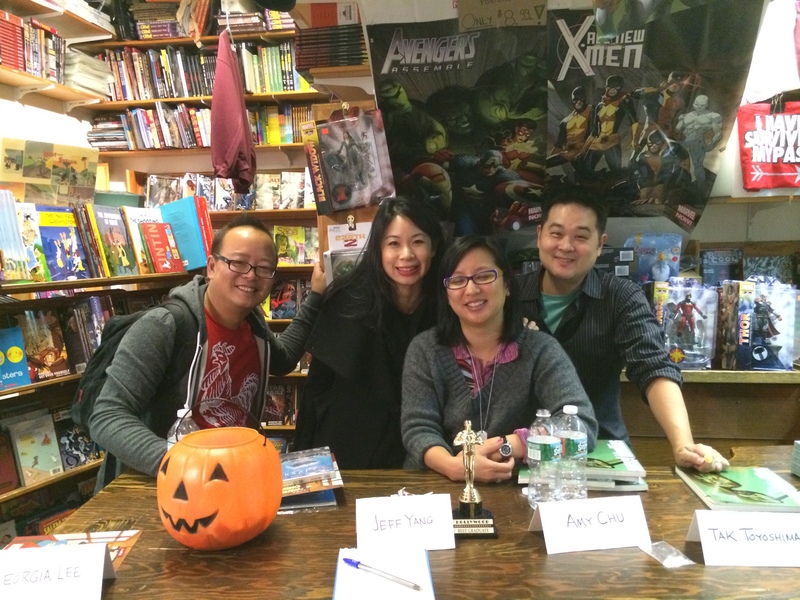 Pictures from the SCATTERED and SECRET IDENTITIES signing Saturday, 10/25. With Jeff Yang, Georgia Lee, Amy Chu and Tak Toyoshima.